July saw the launch of the Skillnet Ireland Annual Report for 2017, reflecting a positive year for the Skillnet Ireland. Due to the continued growth in the economy and a demand for specialised talent, Skillnet Ireland membership increased with over 15,000 Irish businesses participating with our 66 networks. 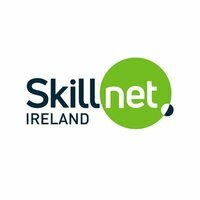 A growing demand for the Skillnet Ireland offering was also apparent with over 49,000 trainees participating across all our programmes, exceeding the trainee targets by 14%.